Steamers are a blend of steamed milk and flavoring. Many coffeeshops prepare milk steamers with flavored syrups, but you can also use homemade simple syrup or ingredients like molasses, honey and spices to make steamers at home. You can also replace milk with various dairy alternatives, such as soy milk or almond milk. 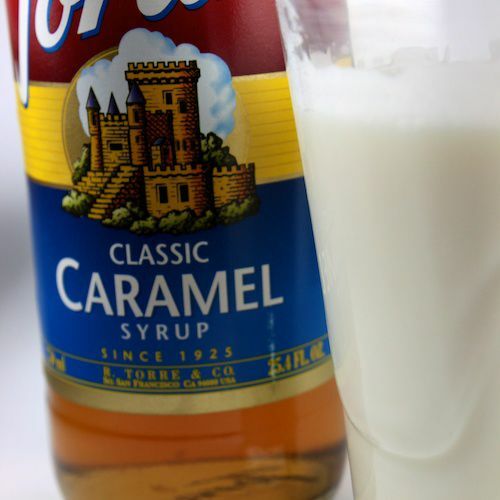 This versatile milk steamer recipe can be used for any type of flavored syrup you prefer. It also includes links to how to steam milk on the stovetop, or with an espresso or cappuccino machine frother. Steamed milk meets the warming flavor of gingerbread cookies. This recipe from Cooking for Kids guide Stephanie Gallagher is a great choice for serving to kids or adults wintertime. Vanilla steamers are one of the most popular types of steamers out there. Vanilla steamers also make a great base for fruit-flavored steamers, which can curdle without a base of vanilla or chocolate. You can replace the milk in steamer recipes with soy milk or other dairy alternatives. This vanilla-maple steamer recipe from Naturally Knocked Up includes coconut milk and (in an unusual twist) adds pasteurized egg yolks into the mix. You can also replace flavored syrups with honey and spices to make your steamers. This vanilla or almond steamer recipe from Culinate Kitchen replaces flavored syrup with vanilla or almond extract and honey. New to frothing milk? These tips will help you perfect your steamer-making skills in no time flat.